How many passengers fit in a 2018 Ford Explorer? 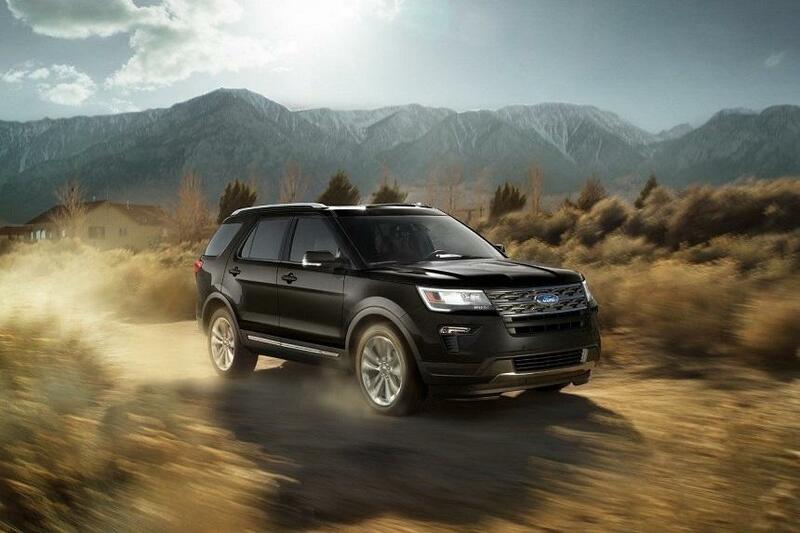 Now entering its eighth successful model year the Ford Explorer continues to get better and is quickly becoming one of the most popular SUVs for family transport. With seating for up to seven passengers in its large leather-trimmed seats, tons of legroom and ample cargo space you can rest assured that this full-size SUV has enough space for everyone and everything that you want to bring on the journey. Thanks to three rows of seats that are wrapped in premium Nirvana leather with micro-perforation and quilted inserts. While the front seats are the most roomy and comfortable, the heated and cooled second-row bucket seats can also be adjusted and reclined for added comfort and to provide enough room for passengers in the third-row. Instead of its former postage stamp backseat, the 2018 Ford Explorer now offers third-row occupants extra legroom. When equipped with a second-row bench seat, the Explorer has room for child safety seats in all three back-seat seating positions. This row even has three tether anchors, two full sets of lower anchors and one full set of LATCH connectors to assure that your children’s seats stay in place no matter what the road. 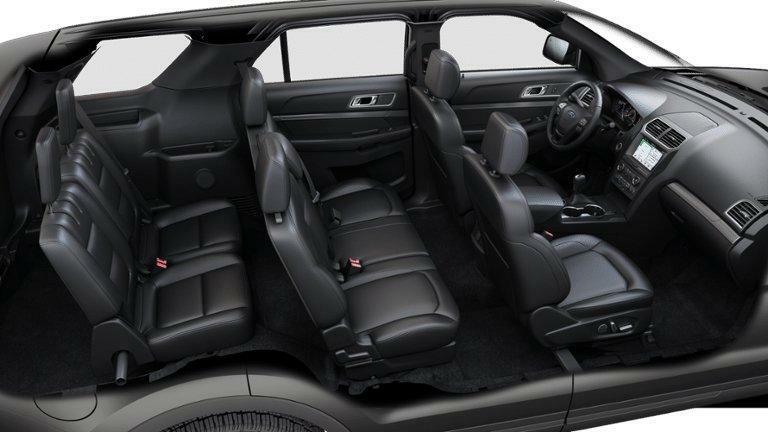 Along with leather born luxury, this family-SUV offers more legroom than ever. Of course, the front-row has the most room, with 42.9 inches of legroom, for your biggest passengers. From there, the second-row has 39.5 inches of leg room for the tallest of middle school students. Combine the more than 33 inches of legroom in the third-row and you can see why this family SUV is quickly becoming one of the most popular in the Ford lineup. Anyone who owns a family vehicle, is sure to be in the market for one that has a spacious enough interior to handle both passengers as well as cargo. Along with its 151.5 cubic feet of passenger space, the 2018 Ford Explorer has one of the best cargo capacities in its class. With all three-rows engaged, owners can count on 21.0 cubic feet of cargo volume behind the third-row. Those who are trying to transport larger items can easily do so by folding down the last two rows, which expands the cargo volume to 43.9 cubic feet behind the second row, and a total of 81.7 cubic feet behind the first. For extra convenience, a power-folding third-row seat is available, as is a hands-free liftgate. If you are in the market for an SUV that can handle it all both inside and out get to your Port Alberni, BC Ford dealer to take a test drive in the 2018 Ford Explorer today. Serving Port Alberni, Tofino, Ucluelet, and the entire West Coast, and recipients of the Presidents Award from Ford Motor Company the last three consecutive years, Van Isle Ford Sales offers the most top Ford models available in these areas.